A tale of two bays: the Chesapeake meets Galveston Bay in this Papa Lovett classic. 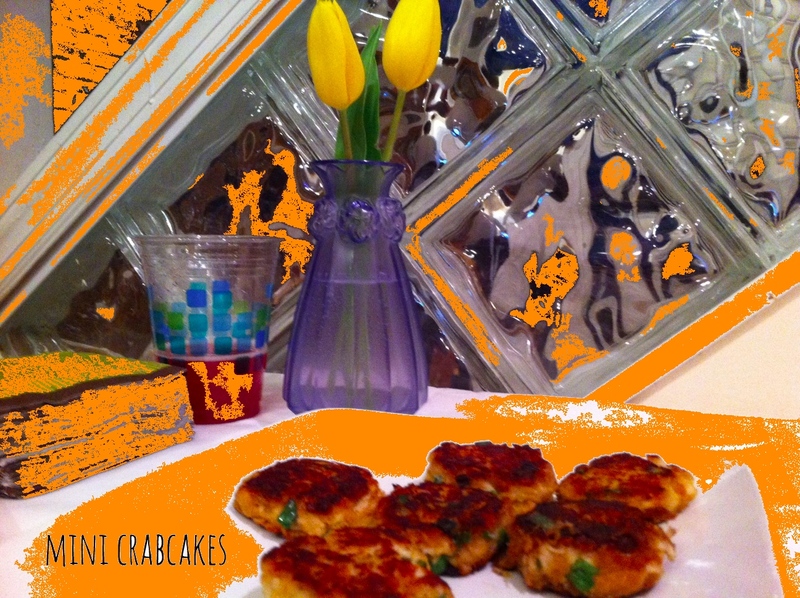 I needed a simple, but substantive app for our house’s leg of the progressive dinner party this Saturday, so crab cakes were an easy answer. 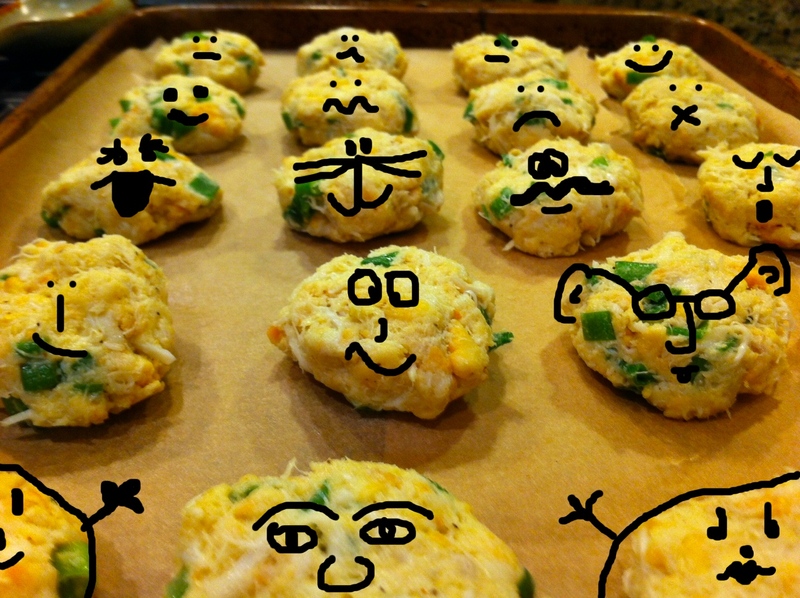 These ‘lil guys couldn’t be simpler and they’re oh, so scrumptious. The calories don’t count if they’re bite-sized, right? 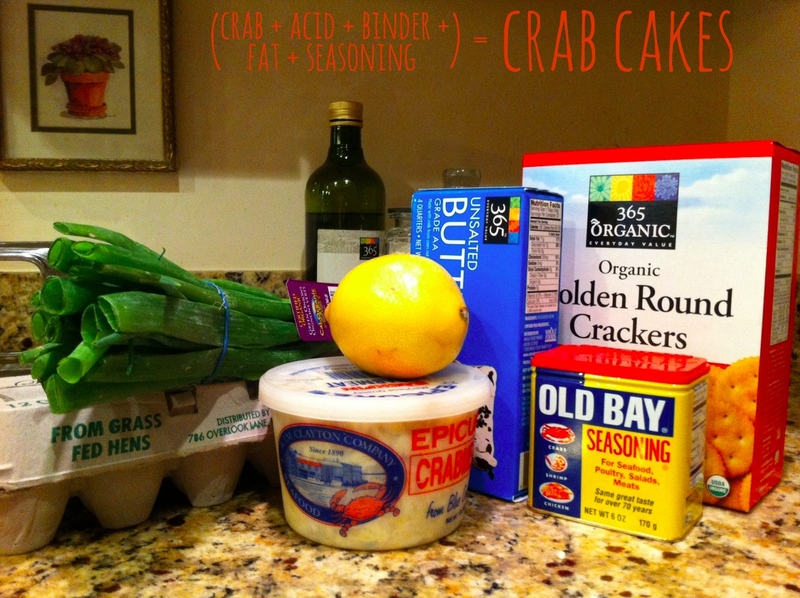 Mix everything together in one big bowl (that’s right — one big bowl #oneanddonedishes) in this order: crab meat + lemon juice + mayo + melted butter + scallions + seasoning (you should be tasting throughout!). I add the egg last (nothing scientific except the aforementioned tasting throughout and a desire to minimize my raw egg consumption). Then add your Ritz Cracker breadcrumbs. Take a tablespoon and start scooping mini-patties. Lay ’em on a cookie sheet and keep ’em in the fridge until you’re ready to pan fry ’em. Once it’s time to sizzle — melt a combo of butter & olive oil in your pan & cook these lil guys have a golden glow!